The Subaru Impreza is a car that’s in it for the long haul, built to last. This is probably the reason 96% of Imprezas sold in the last 10 years are still on the road today. It’s also the best-selling all-wheel drive car in its class and in its current guise is available in sedan and 5-door hatch with four models of each; the Impreza can cater to many needs. 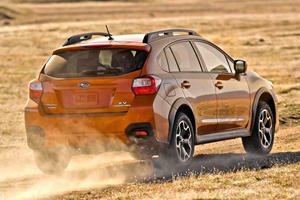 Subaru drive quality has always been good, and the 2.0-liter boxer engine delivers a healthy 152 hp that works well combined with both the manual and automatic transmissions. Inside the Subaru things have always has a sporty undertone, as evident by the sports seats found up front – available in black cloth, leather or ivory cloth and leather. These continue to be among the most comfortable sorts seats available, and the 6-way power adjusting means a great position is certain. The multifunction steering wheels is nice and chunky, and in the available leather trim is great. The instrument cluster features big gauges with an LCD driver information display in between them to keep eyes on the road. When eyes can wander, there’s an 8-inch color touch screen heading up the infotainment system in the oddly symmetrical center console. Lower down is the shift lever that looks like a manual one even if auto. Rear seating space is good in both body variants, and cargo space is also good. The 5-door frees up 55.3 cu.ft when the 60/40seats are folded down. We’ve always enjoyed the drive in a Subaru. The permanent all-wheel drive system affords maximum traction in all situations and the suspension is tuned to match it. It’s soft enough to soak up what gravel roads throw out and it stiffens up enough to allow some hard cornering on tarred roads, with confidence. The manual is connected to a viscous coupling all-wheel drive and the auto uses an electromechanical setup. Some extra electronic systems help this along, like Active Torque Vectoring that you can actually feel using individual brakes to improve turn-in, reduce understeer and make for sharper handling. The power-assisted steering provided good feedback to let you know what the car wants to do, something that’s fast dying out. The short-throw and notchy feel of the 5-speed manual transmission offers an involving drive, much more so than the Lineartronic continuously variable transmission even when paddle shifters are added. While the STi versions of the Subaru range are where the serious performance is found, the 2.0-liter found in the Imprezas is still good and is the only one available, even in higher trims. This normally aspirated boxer produces 152 hp with 145 lb-ft of torque, but to get at that power you do need to rev the car hard. With a high compression ratio it’s nice and responsive though. This is enough to get the Impreza to 60 mph in less than 9-seconds, which is not too bad going. The available transmissions are good, the 5-speed manual being much better than the continuously variable transmission, but that’s expected. The CVT is one of the better ones out there though and the fake shift points do feel quite convincing. 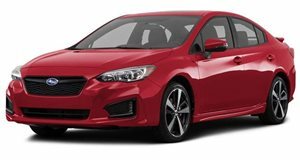 The Subaru Impreza keeps up with the modern needs and as a result the car features some good standard and optional equipment. The 8-inch color touchscreen is home to the infotainment, navigation and smartphone connectivity. It’s also used with the rear-vision camera that has integrated guiding lines. A feature added to this is reverse automatic braking that makes reversing confident. Safety is plentiful and incudes clever tech like EyeSight that monitors traffic movement and optimizes cruise control as well as warns when you're swaying outside your lane. There’s also pre-collision braking, bind-spot detection and rear cross-traffic alert. On the audio front you can option a 432-watt Harman Kardon premium audio system with 8 speakers. 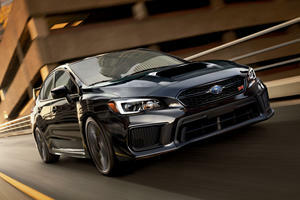 More spice can be added with a range of STi-branded accessories, inside and out. 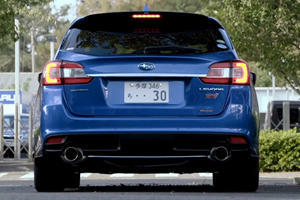 The Subaru Impreza in both sedan and 5-door hatch guise is good. Exterior style and appointments are good and more attractive than many segment competitors. The latest version of the normally aspirated boxer engine is smooth and quiet and works great with both available transmissions. The Subaru all-wheel drive system is the same system that’s been responsible for the car’s reputation for brilliant handling. The overall package comes with some good technology and hand features, all at a price point that makes sense. You've never heard anything like this before.